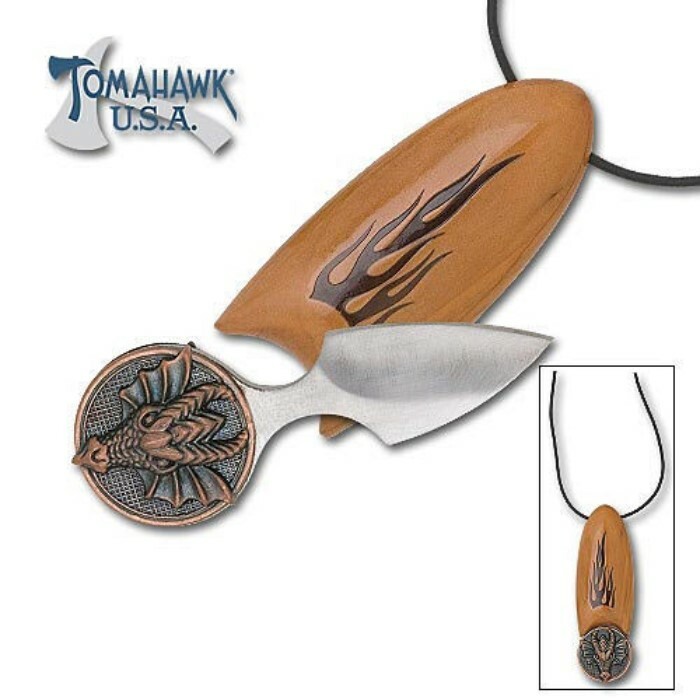 Tomahawk Dragon Fantasy Push Dagger Necklace | BUDK.com - Knives & Swords At The Lowest Prices! Equipped with a 3" push dagger with stainless steel blade and cast metal medallion. The sheath is hard plastic material and features 18" nylon cord necklace. 3 3/4" overall.